What is being touted as the world’s largest whisky tasting room is planned for Tasmania’s north-west. 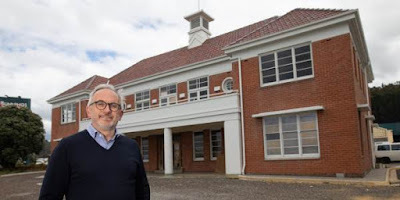 A collection of at least 1,500 whiskies from across the globe – all available for sampling – will be the centrepiece of The Tasmanian Ikon Distillery, a new tourism venture being developed in one of Burnie’s landmark Art Deco buildings. The current Guinness Book of World Records for a whisky list is held by the Hotel Skansen in Sweden, with 1,179 whiskies on offer. “We will definitely be smashing that record,” Kons told the Brand Tasmania website. “I have had a few comments with people saying they have been to Scotland and went to a place where they had 3,000 whiskies. The Tasmanian Ikon Distillery – which aims to open in January 2020– is being installed in the former Associated Pulp and Paper Mill [APPM] Service Building. And, along with its world-record whisky offering, it will also be showcasing the finest from Tasmania, with a special ‘Tasmania Room’ featuring the most extensive collection of local artisan spirits. Tasmanian gins and vodkas will sit alongside our whiskies, and Kons estimates the room could encompass up to 1,000 lines for sale. The $3 million development will also have a working distillery where visitors will be treated to a bird's eye view of the production process via a walkway suspended above the distillery. A craft beer brewery is planned for a later stage. Kons bought the old APPM service building – which housed the company dentist, gym, canteen and ballroom – four years ago. It dates back to 1944, and Kons is excited that his plan provides for “a great reuse of a building full of history”. “The fact we have the other distillery in town [Hellyers Road] creates enough interest for people to overnight in Burnie,” Kons said.